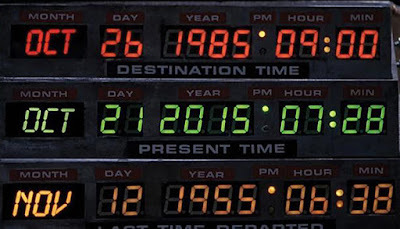 According to Doc Brown's time machine, the future has arrived. The Back to the Future trilogy has always been a personal favorite. 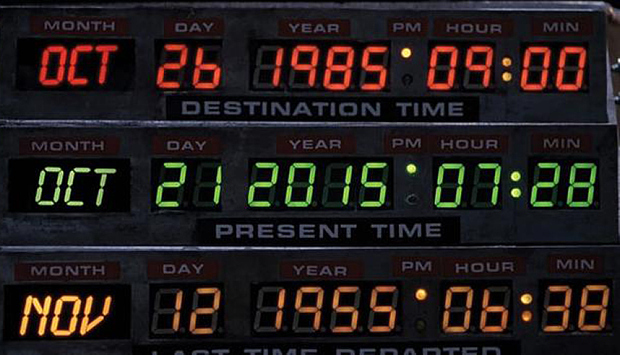 As a result, I've been looking forward to October 21, 2015 for quite awhile. I don't have a hoverboard or drive a flying car. I still only wear one necktie at a time, but the future has arrived. but only because it's officially the future. I've always imagined the classroom of the future as a place where students explore passions, communicate with the broader world, and develop their skills to be life-long learners. I've frequently experimented with giving my students more freedom and responsibility for their learning, but I always came up short on resources to make my grand plans a reality. A little over a week ago, I learned that the EXCEL Foundation funded my "Googley E.Y.E.S (Exploration Yields Extraordinary Students): Chromebooks for Life-long Learning" grant for the second year in a row. But this time, they are funding enough Chromebooks to go 1:1 in my Advanced Learning classes. My principal handed me the grant award letter in the office, and by the time I reached my classroom I was crying tears of joy. This is going to bring futuristic opportunities to my students. We'll start by expanding our class blog. Last year, my students focused on writing book reviews. They were able to take turns using the five Chromebooks and two desktop computers I had in my classroom to put together some great work, but most students were only able to publish twice. This year, we'll be using the blog for reflection and original fiction and poetry in addition to book reviews. With a Chromebook for each student, they will be able to grab one and work on a post whenever they are ready, the need for sign-ups and computer rotation schedules are a thing of the past. This year we'll really be able to try out Passion Projects (AKA Genius Hour or 20% Time). I still need to work out the details, and I'm sure we'll learn a lot as we go, but I am unbelievably excited about this one. As soon as we work out the new classroom culture of using Chromebooks, I plan to devote one class session each week to student chosen and executed projects. I've made attempts in the past, but lack of access to devices has always been a hindrance. After reading Learn Like a Pirate this summer, I am convinced that giving students time to explore their interests and share with others is essential to educating students who are prepared for their futures. Great to see your Blog post, Jim!! Fond memories of seeing this movie back in 1985 with you. 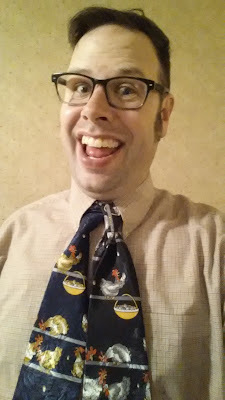 I may have to do the double tie thing tonight, and wear my pants inside out (I know, probably a mix of adult fashion and kid fashion in the BTTF alternate 2015, but who cares?!). Glad I can see how it looks on you before doing it myself, haha.